Knicks President Phil Jackson and other members of the Knicks brass flew out to Los Angeles on Thursday night to meet with Carmelo Anthony. Melo was in LA to meet with the Lakers earlier in the day, and the Lakers reportedly offered him a 4 year, $97 million contract, the most they are allowed to give under the CBA. The Knicks, however, are allowed to give Anthony 5 years and $130 million because he is “their player”, and according to reports, Jackson assured Anthony he would receive this maximum offer if that is what it takes to keep him in New York. The Knicks, of course, are still hoping they can keep Anthony without paying the maximum amount, but it is now clear that if Melo demands it, he will get it. The Knicks had seemed out of the Melo sweepstakes a couple weeks ago, but have since re-emerged as a very likely— maybe even probable— landing spot for the star forward. Jackson had publicly been reluctant to offer Anthony a max contract, but it appears that this was just posturing on the part of the Zen Master. The Knicks were hoping for a verbal commitment from Melo tonight, but it looks like this did not happen. Melo is scheduled to meet privately with Kobe Bryant, who was unable to make it to the meeting with the Lakers earlier in the day. 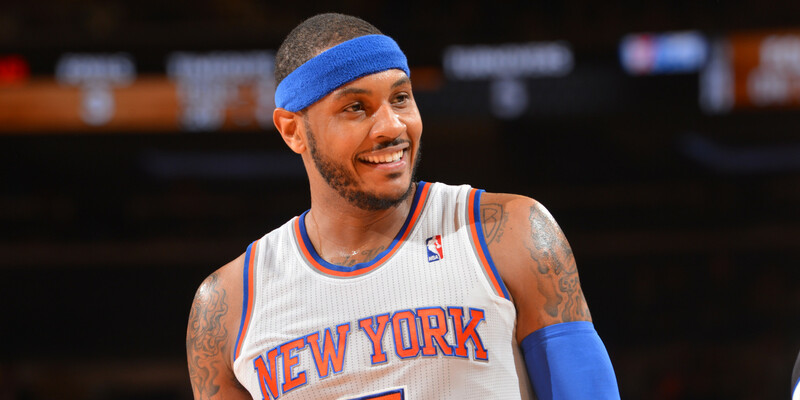 Carmelo is expected to decide soon, and we could very well know his fate by the end of the week. As of now, the Knicks look to be in a pretty good position, especially with that extra $30 million dangling in front of Anthony. This entry was posted in Articles and tagged carmelo, carmelo anthony knicks, carmelo contract, KNICKS, knicks keep melo, knicks melo max contract, KNICKS MEMES, Knicks news, knicks offer carmelo, melo, melo knicks, tommy rothman knicks on July 3, 2014 by Tommy Rothman.